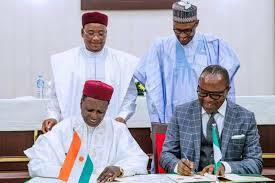 Federal Government signs Mou on the construction of Katsina refinery – Royal Times of Nigeria. The federal Government has said that the private sector-driven Niger Republic facilitated approved petroleum refinery in Mashi in Kastina State will cost two billion dollars. The planned refinery will have the capacity to produce one hundred and fifty thousand barrels per day when fully completed in 2021. 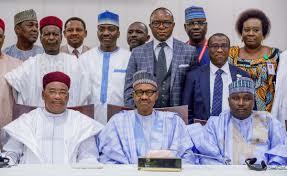 The Minister of State for Petroleum Resources, Dr Ibe Kachikwu, and the Nigerien Minister of Energy, Foumakaye Gado, on Tuesday signed a Memorandum of Understanding on the construction of the refinery at the Presidential Villa, Abuja. Also speaking on the proposed refinery, a Nigerian investor, Alhaji Ibrahim Zakari, pledged to spearhead the take-off of the first 100 per cent private driven refinery. He explained that the crude for the refinery will come from Niger Republic. According to him, it will take the company about five years to complete the project. He said that the project when completed would provide job opportunities for more than two thousand, five hundred Nigerians.